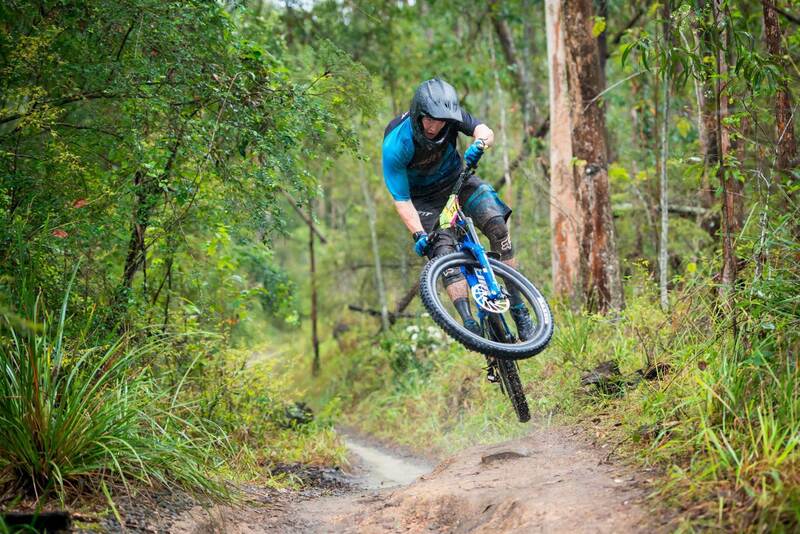 We go behind the lens with the Element crew at the Shimano Enduro Tour in Nerang. 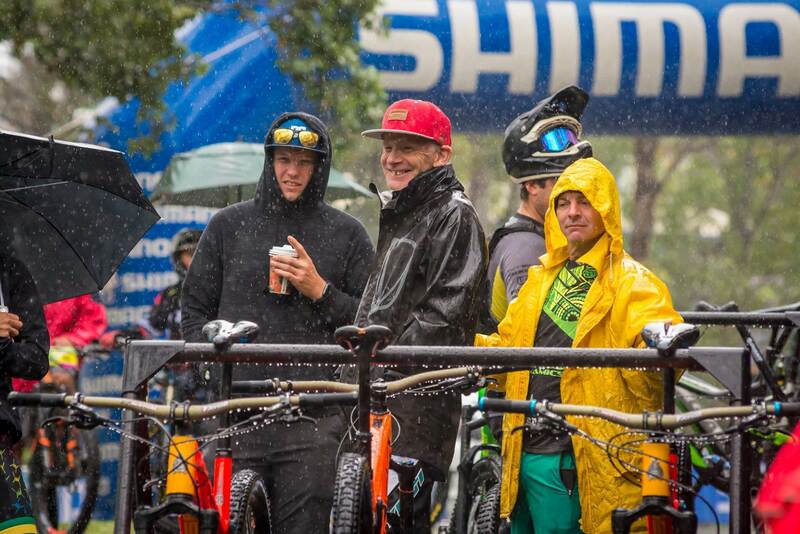 The word “spectacular” might normally be used to describe Queensland’s picturesque and sunny Gold Coast however the weather gods had other plans this weekend for the first round of the National Shimano Enduro Tour. 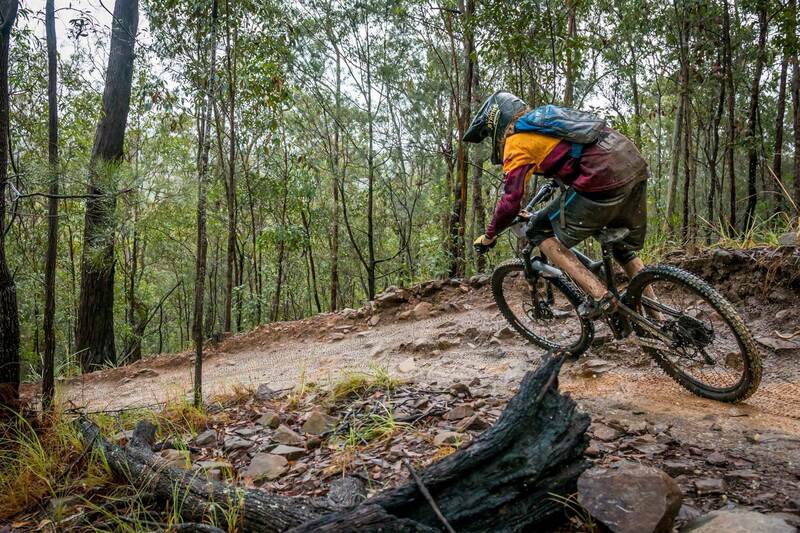 Held at Nerang National Park on the well-established trail network (dating back as far as the mid-90s), recent international events such as the 2018 Commonwealth Games have brought funding to further expand and improve the network which will eventually encompass over 60km’s of dedicated trails. 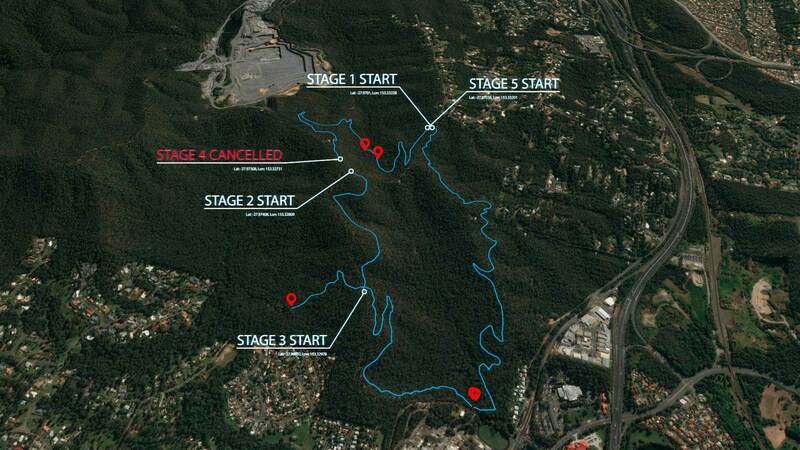 With the better part of 60mm of rain in the Gold Coast area in the days leading up to the race, a change from scheduled starts to a scatter format and the removal of Stage 4 from the schedule kept riders on their toes no matter how familiar they were with the course. 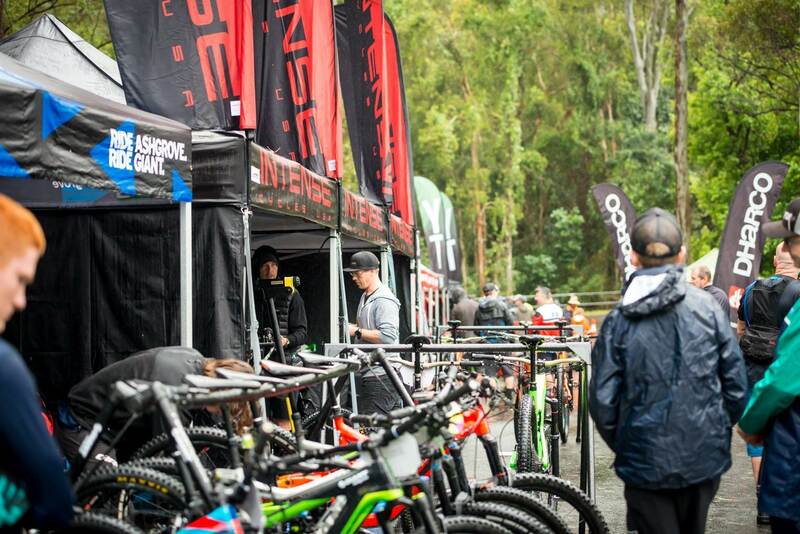 Although the weather dampened the (in)famous “Nerang loam” somewhat, the same could not be said of the rider atmosphere throughout the event village and on the trails. Riders of all ages and abilities were well represented, perhaps best exemplified by the inclusion of an e-Bike category run on Saturday afternoon after the conclusion of scheduled practice. 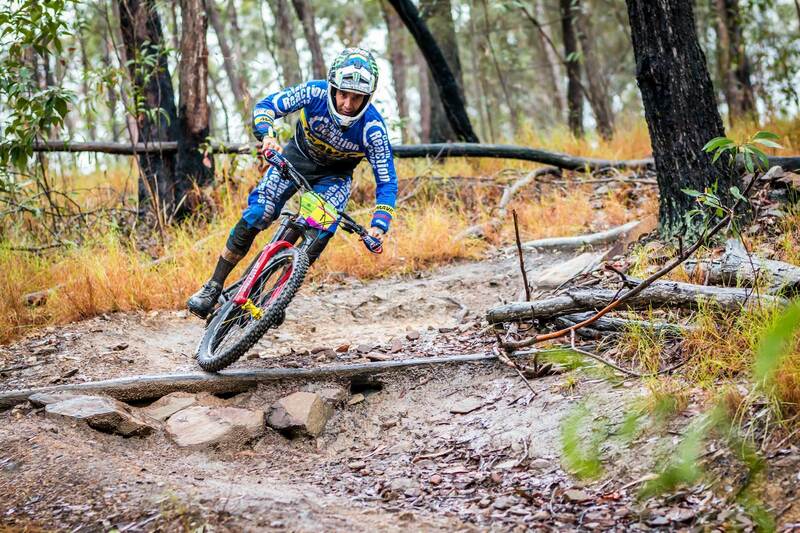 In addition to the strong South-East Queensland contingent several interstate riders, including the recently crowned 2018 EWS World Champion Sam Hill, made the trip to compete for valuable Enduro Global Ranking points and a shot at a total series prize pool of over $20,000. 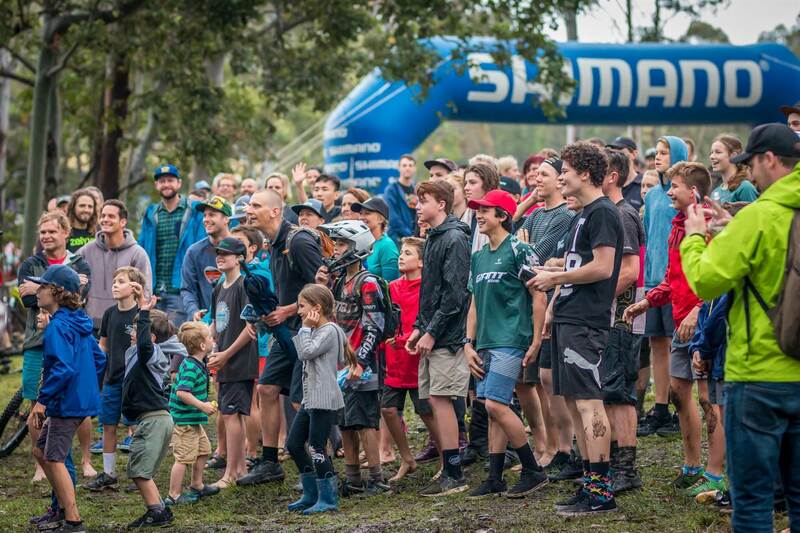 With the remaining races in the Shimano Enduro Tour also being the first two rounds of the inaugural Asia-Pacific Continental Enduro Series, the tour provides riders from across Australia and New Zealand more opportunities than ever to pre-qualify for the Enduro World Series in local races. 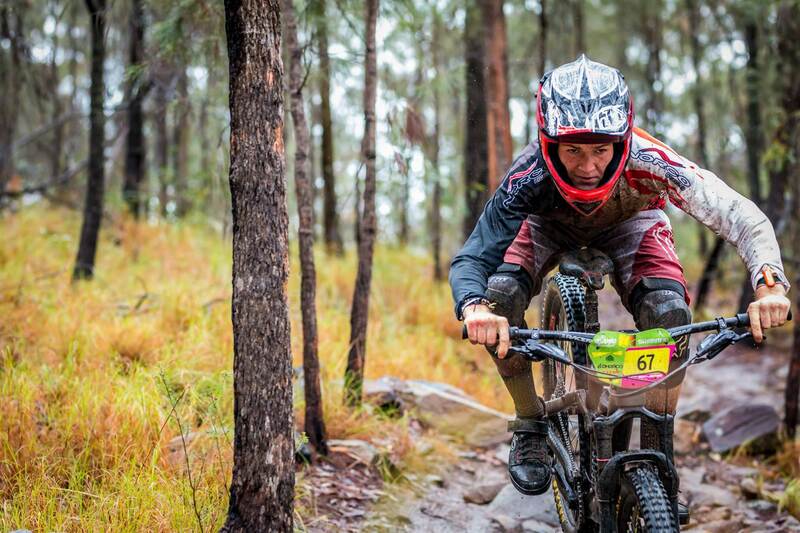 The results for the Elite categories reflected this opportunity with riders from ACT, Queensland, Tasmania, Western Australia and New Zealand all represented on the Elite Men’s and Women’s podiums. This included Brisbane local Ben Forbes who, with an overall time of 15:25.69, took the win in the Elite Men’s category by nearly 10 seconds. The win was a welcome change of fortunes for an otherwise difficult racing season in 2018 for the young rider after the theft of his race bike in Grenoble cut his EWS campaign short. Forbes aboard his old bike, loaned back for some racing. This race also marked the return of EMS Enduro (a.k.a. 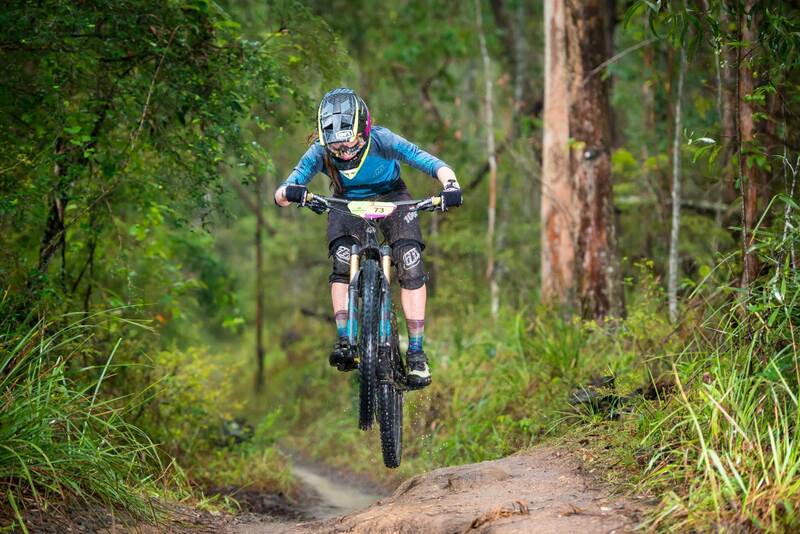 Event Management Solutions Australia) to the SEQ racing calendar after the duties of running the highly popular SEQ Enduro series was passed onto local clubs for 2018. 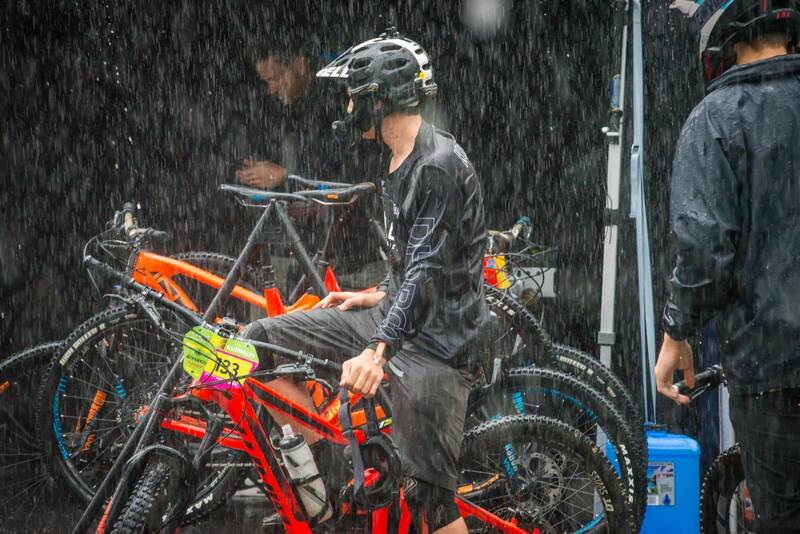 Locals from South East Queensland would have been backing up again next weekend for the final round of the SEQ series at Mt Joyce however closures of the event park due to weather have forced a rescheduled date to November 18. 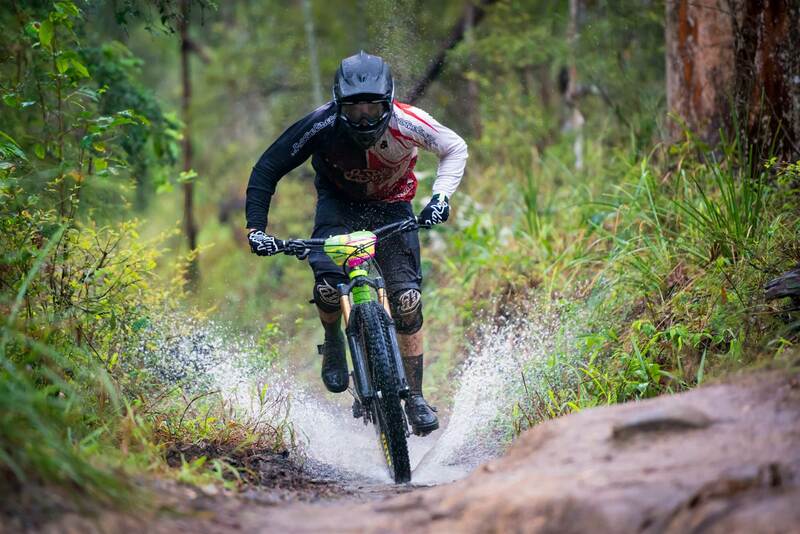 The ‘Dingo Enduro’ at Hidden Vale Adventure Park, also scheduled for next Sunday 21st, will give riders another racing option should the weather hold off in Ipswich. 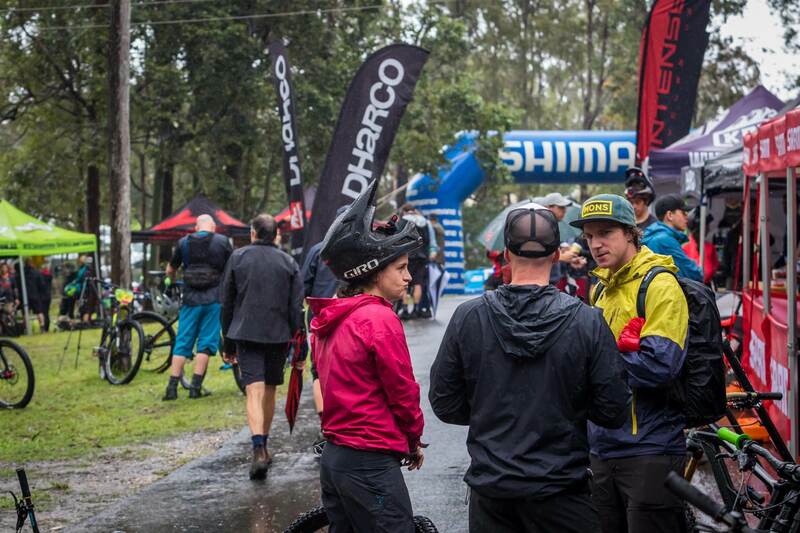 The Shimano Enduro Tour continues with Round 2 in Derby, Tasmania on November 11 and Round 3 in Mt Buller, Victoria on December 2. 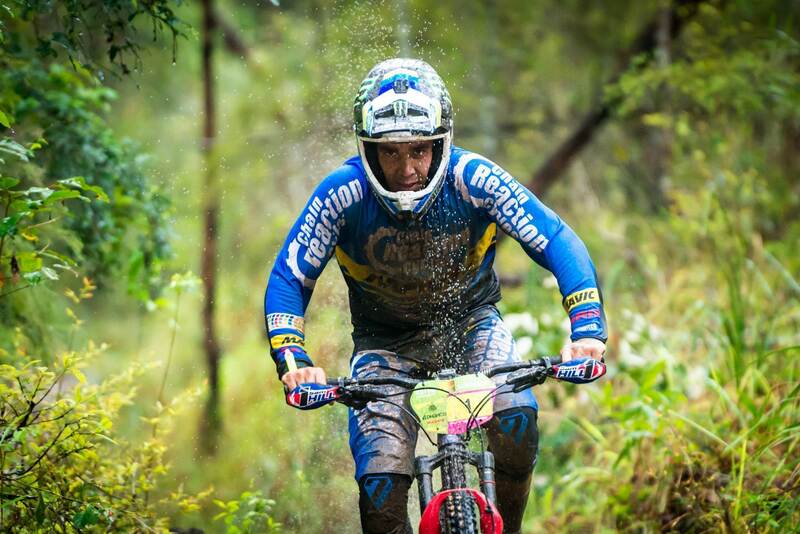 Sam Hill is among many of the podium winners from Nerang who will contest the final 2 rounds of the series, though he comments that he’s very much looking forward to some downtime at home with his family for a while after a busy season. Wyn Masters and Josh Carlson are also among the participant list for Round 2 in Derby. Further event details are available online. 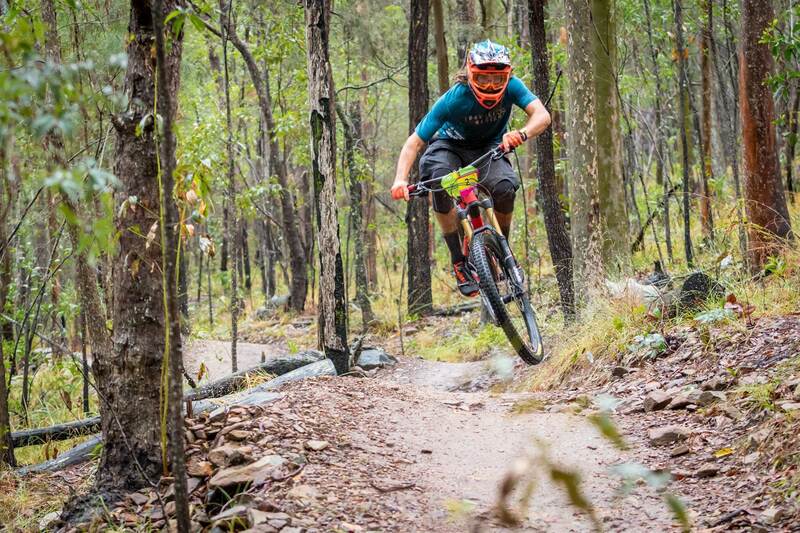 In addition to the rest of the Shimano Enduro Tour, EMS will be also returning to Derby, Tasmania as the organisers of Round 2 of the 2019 Enduro World Series. On that note, what’s your next event going to be? Fingers crossed for drier weather in Derby!